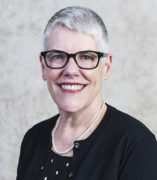 Dr. Catherine (Kate) Vincent is an Associate Professor in the Department of Women, Children, and Family Health Science and Associate Dean for Academic Affairs in the College of Nursing (CON) at the University of Illinois at Chicago. She joined the CON faculty in the fall of 2005. Dr. Vincent’s research addresses the problem of unrelieved children’s pain. Despite advances over the past decade in pain assessment and management, children in the hospital and at home continue to report significant levels of pain intensity. Untreated pain can negatively affect all body systems and children’s response to pain later in life. Dr. Vincent’s long-term goal for her research program is to discover what prevents nurses and parents from providing children with adequate pain medication and then developing and testing interventions aimed to increase children’s pain relief. In prior research, she examined relationships of nurses' knowledge, attitudes, analgesic administration practices, and levels of children's pain. She studied how nurses cognitively represent children's pain and how these representations could influence behavior. Building on her prior research, she has developed Relieve Children’s Pain (RCP), an Internet-based multimedia educational intervention for nurses addressing the validity of pain intensity measurement and analgesic use. Dr. Vincent has taught nursing for over 25 years and currently teaches NURS 571: Theory and Theory Development for Nursing Research for PhD students. She serves as research adviser for many PhD students. Dr. Vincent is the Chair of UIC Senate Executive Committee and Secretary of UIC Faculty Senate. As Associate Dean for Academic Affairs, she represents the CON at UIC and in the CON on numerous committees.